If your brother is named Adonis, your sister, Venus and you are named Eggbert, you know you are starting out life at a disadvantage. The disadvantaged youth in this situation is the main character in DEADWEATHER AND SUNRISE (G.P. Putnam, March 2013), Book One of Geoff Rodkey’s, The Chronicles of Egg trilogy. Egg lives on Deadweather Island. Yes, the name does say it all– hot, heavy air is stalled above his volcanic island home. His father runs an ugly fruit plantation with pirate laborers. Egg aches for intellectual stimulation, which he fails to get from the new tutor who is almost as obnoxious, dumb, and lazy as Egg’s siblings. The pirates that populate the waters around the island and the port towns are thieves and murderers, and I appreciated that Rodkey maintained their nefarious ways. Across the waters is the island of Sunrise where the weather is as beautiful as the people who live and visit. Most beautiful to Eggbert is Millicent Pembroke, 13-year-old daughter of local businessman, Roger Pembroke. Pembroke’s wealth and adoration of Eggbert’s father quickly endears him to their family, but the reader comes to understand that Pembroke’s friendliness may be a cover for a hidden agenda. Percy turned his head to look at me. I tried to seem bored, because I knew the hungrier I looked, the crueler his order would be. I must have looked like I was starving to death. Say “Bit of spleen,” out loud. Okay, now say it to an 11 and 13-year-old boy. I swear you’ll get belly laughs. The beginning of the book is a little slow to start. Rodkey is a seasoned screenwriter, Daddy Day Care and RV, and for me the first act included too much scene setting and backstory. Once I got caught up in the story, Rodkey had me rooting for Eggbert. Throughout his journey, Egg meets with all kinds of people. He loses his family, is threatened with death, meets vicious pirates and even more vicious cruise boat tourists. He makes friends, falls in love, finds treasure, and battles the bad guys. Eggberts growth comes in part from his realization that all of us– wealthy, worker, or pirate– are human and as such, we all have a dark and often self-serving side. At least, he notes, the pirates are what they say they are. 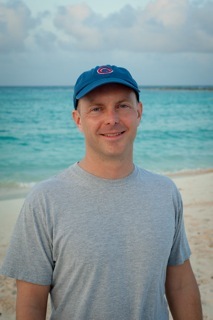 Geoff Rodkey grew up in Freeport, Illinois, a place with no ugly fruit plantations, volcanoes, or gainfully employed pirates, although someone did briefly want to kill him when he was a teenager. He currently lives with his family on an island just off the coast of North America. The second in the trilogy, NEW LANDS (May 2013), has already been released. It is very possible that these books will not be new to you. Many of them were published last year or before and have already been nominated and listed. Still, these wonderful books finally made it out of my to-be-read pile and are officially read and returned to the library (and other trusting book-loving souls out there.) I found it interesting that each had a bully character. If you’ve read the books, I’d love to discuss how authors portray bullies and how we can make them multi-faceted. I think that the omniscient narrator in TRUE was especially effective for this. Jeremy has a problem. A big problem. An I-messed-up-my-dad’s-beloved-boat problem. He’s ready to make it right but is going to need a bunch of cash to do the job. Enter– the Windjammer Whirl. A contest to build and race a model boat with $500 to the winner. New problem? Only Cupcake Cadets (similar to Girl scouts) can enter the race. Jeremy and his good friend Slatter don their skirted uniforms and wigs and hilarity ensues. Eric Luper does a great job making the book light and readable but injects enough heart and growth for the characters so that the story comes off as more than fluff. If your kiddo liked the Fudge books by Judy Blume, they’ll love this novel. This book is a Maine State Student Book Award nominee. Ella and her best friend Z share a fantasy world of knights, princesses and chivalry. Thing is, Ella knows it’s just pretend, but Z seems to want to stay there all the time. Ella understands this. A fantasy world is often easier than the one that Z inhabits. Ella protects Z at the same time she deals with her own difficulties: the death of her father, being biracial in an all-white school, and a skin condition that leaves her with patches of dark and light skin. When a new kid, another Black kid, comes to school he widens her world. Ella grows through the decisions she makes about friendship, popularity, and responsibility. Kekla Magoon writes beautiful, honest characters. This book is a Maine State Book Award Nominee. Katherine Hannigan has a knack for pairing wonderful, plucky heroines with quiet small town worlds to end up with more adventure than you may have originally guessed. I don’t want to give too much away with this one. Delly, the main character has been bad, bad, bad news for as long as anyone can remember. With the help of her little brother, and a new friend, Delly turns around the bad so that everyone (not just the reader) can see her inner goodness. Delly is just the kind of friend we all hope to have. The engaging narrative pulled me along, with threads woven from three or four different subplots. I didn’t want to leave the book at the end. While the ending was realistic, it may come across to some readers as didactic. However, there are some problems that kids just can’t solve on their own. I’m not sure how one book can have so much humor and pain in the same story but Gary D. Schmidt managed it in OKAY FOR NOW. When agents and editors say that they are looking for a unique and honest character voice, this is what they are talking about. With the backdrop of the Vietnam War, Doug moves to a new town with everything working against him and he manages to rise above his circumstances. I know. I haven’t told you much but I don’t want to print any spoilers. For a better synopsis, an excerpt and a reading by the author (don’t listen if you don’t want a spoiler) check out this page: National Book Award Finalist. I did have issues with the father’s and Lil’s plot lines, but who am I to criticize Gary D. Schmidt? 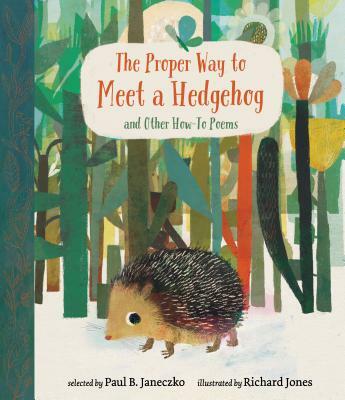 I’d recommend this for kids 13 an up, but I feel very strongly that kids will self-select material with which they feel comfortable and put down books for which they aren’t ready. Book Review Wednesday: At the bookfair. Well friends, Creative Chaos finally broke the 100 views mark on Monday’s post, The Children’s Book Industry, a gendered affair. Feel free to keep commenting there about your thoughts and ideas regarding the issue. It is obviously on the minds of many and also obvious that while valuing ourselves and our work is important, we can only go so far when limited by societal structures, budgetary constraints, and national policy that doesn’t support women, children, and families. Vote your interests. This week the Scholastic Bookfair visited my child’s elementary school and I volunteered. Yes, I know– therefore taking four hours away from my writing. However, I was able to watch kids and books and that is an eye-opening experience. It is true that many of them had five dollars or less and were gung ho to skip the books all together for a chance to purchase a pencil with the animal toppers that bug out their eyes when you squeeze. (huge hit) Diaries with locks for boys and girls also got a lot of touch time. The money limit meant that they had to skip new releases. The big winners were mass market titles such as tie-in books Star Wars and anything lego was big with guys. Selina Gomez and iCarly, and Bad Kitty with girls. Ellen Miles has a series called Puppy Place that 2nd and 3rd grade girls tended to gravitate towards. The covers are super cute as was the book Little Pink Puppy about a piglet raised by a dachshund. The Titanic was represented at the Fair but I didn’t see a lot of kids gravitate towards it. I did get asked for the Hunger Games more than a handful of times but since this was an elementary fair it wasn’t present. Sort of surprised since Allie Condie’s, Matched series, Legend, and the Patterson Witch & Wizard books were all on hand. Overall, the kids were asking for adventure, and animals. Can’t be more succinct than that. From Indiebound: Caroline lives on Meadowview Street. But where’s the meadow? Where’s the view? There’s nothing growing in her front yard except grass. Then she spots a flower and a butterfly and a bird and Caroline realizes that with her help, maybe Meadowview Street can have a meadow after all. My take: On Meadowview Street, by Henry Cole, is a quiet picture book about the beauty around us when we appreciate nature and don’t try to control it. This PB was a bargain at $2.50 at the fair. From Indiebound: Ivan is an easygoing gorilla. Living at the Exit 8 Big Top Mall and Video Arcade, he has grown accustomed to humans watching him through the glass walls of his domain. He rarely misses his life in the jungle. In fact, he hardly ever thinks about it at all. My Take: The One and Only Ivan, by Katherine Applegate (yes the Animorphs author) is told from the point of view of Ivan, a silver back gorilla. This makes for a visually interesting book with short sentences and paragraphs. Readable and well-designed. From Indiebound: A reality-bending adventure from a Newbery Honor-winning author. Siblings India, Finn, and Mouse are stunned when their mom tells them they are flying that night–without her–to their Uncle Red’s home in Colorado. But things take an even more dramatic turn when their plane lands in a very unusual place. A mysterious driver meets them at the airport; when he drops them off at their “destination,” each kid suddenly has a clock with a different amount of time left. If the time runs out, they have to become permanent citizens in a place they don’t recognize or understand. Only if they work together can they call the driver back to help get them where they really belong. Suspenseful, funny, dramatic, and thought-provoking, this is a book that will stay with you long after you read the incredible ending. My Take: Gennifer Choldenko brought us AL CAPONE DOES MY SHIRTS and its sequel AL CAPONE SHINES MY SHOES. My boys and I were riveted by her storytelling in those books. NO PASSENGERS BEYOND THIS POINT was on the Spring 2011 Indiebound NEXT list. In the wake of heart-breaking betrayal, Carley Connors is thrust into foster care and left on the steps of the Murphys, a happy, bustling family. Carley has thick walls and isn’t rattled easily, but this is a world she just doesn’t understand. A world that frightens her. So, she resists this side of life she’d believed did not exist with dinners around a table and a “zip your jacket, here’s your lunch” kind of mom. However, with the help of her Broadway-obsessed and unpredictable friend, Toni, the Murphys do the impossible in showing Carley what it feels like to belong somewhere. But, when her mother wants her back, will she lose the only family that she has ever known? Lynda Mullaly Hunt’s debut novel explores the conflicted feelings of Carley Connor as she leaves a dangerous home situation to join the foster care system and live with the Murphy family. Vaguely reminiscent of The Great Gilly Hopkins, Lynda Mullaly Hunt creates a story all her own with honest emotion and believable dialogue. Carley’s relationship with Foster Mom Julie Murphy is heartening and evolves beautifully. SEE YOU AT HARRY’S also launched this week (Happy Book Birthday, Jo!). When I asked her agent about this book before the launch he said, “Bring your tissue box.” Jo Knowles (LESSONS FROM A DEAD GIRL, JUMPING OFF SWINGS) recently won the SCBWI Crystal Kite for her novel PEARL. Jo is a wonderful and giving writer. 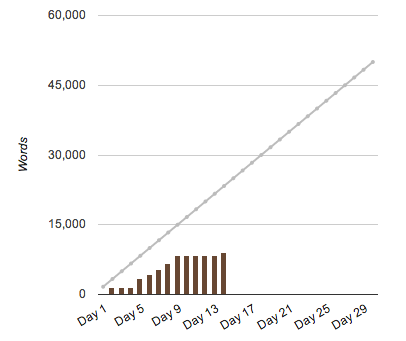 If you are a writer, don’t miss her blog with Monday Morning Warm ups. Twelve-year-old Fern feels invisible. It seems as though everyone in her family has better things to do than pay attention to her: Mom (when she’s not meditating) helps Dad run the family restaurant; Sarah is taking a gap year after high school; and Holden pretends that Mom and Dad and everyone else doesn’t know he’s gay, even as he fends off bullies at school. Then there’s Charlie: three years old, a “surprise” baby, the center of everyone’s world. He’s devoted to Fern, but he’s annoying, too, always getting his way, always dirty, always commanding attention. If it wasn’t for Ran, Fern’s calm and positive best friend, there’d be nowhere to turn. Ran’s mantra, “All will be well,” is soothing in a way that nothing else seems to be. And when Ran says it, Fern can almost believe it’s true. But then tragedy strikes- and Fern feels not only more alone than ever, but also responsible for the accident that has wrenched her family apart. All will not be well. Or at least all will never be the same. With SEE YOU AT HARRY’S, Jo Knowles has given us a book that rings with emotional truth. In another author’s hands, the themes of family, self-discovery, and grief could feel heavy-handed or didactic. This reader never felt manipulated. In contrast, Knowles reveals a pathway into a very real family of six, each character beautifully whole and fabulously flawed. The plot was surprising and full of tension. So there you have it. Book Review Wednesday (on Thursday) and plenty to read. Remember to support you local indie bookstore! Donna Gephart won the 2009 SCBWI Sid Fleischman Humor award for her debut novel AS IF BEING 12-3/4 ISN’T BAD ENOUGH, MY MOTHER IS RUNNING FOR PRESIDENT! In OLIVIA BEAN TRIVIA QUEEN, Gephart’s third novel, the author known for her humor does not disappoint. Olivia Bean has some very clear cut goals. She wants to be better at geography. She wants her father’s approval. She wants a friend. Olivia is sure that the path to her goals is to be a contestant on kid’s week of the game show Jeopardy!. This course of action is not far fetched. All the Bean’s are trivia crazy from Olivia, to her kindergarten brother Charlie, to her absent father. In fact, the bits of trivia that pop up throughout Olivia’s day successfully develop her character and keep the story moving forward. Gephart creates many true-to-life characters who are full of faults. Perhaps the most flawed is Olivia’s father. An obsessive card player and gambler, he left Olivia’s mother and moved West with Olivia’s best friend’s mother. Just this is enough to turn a reader’s stomach, but Gephart doesn’t stop there. This father schedules calls with his kids and doesn’t follow through. He brushes Olivia off when she needs his support, and he shames her about the challenges she has with geography. Still, Olivia loves him. Charlie, a five year old who hardly remembers his father, is just as enamored of trivia as Olivia but he prefers the gross variety. If you want to know how many bacteria there are in a square inch of armpit, or why a flamingo pees on its own leg, Charlie Bean can tell you that. Charlie is a constant source of comic relief in this sometimes very serious story. Gephart writes kindergarteners well and the dialogue between Charlie and Olivia is authentic, funny, and often heart warming. Olivia lives with her journalist mother and almost step-dad Neil. While both are supportive and attentive, Olivia misses her father. She also misses being her mother’s confidant– a relationship that often occurs between a single parent and the oldest child. As the family faces money issues, Olivia matures and comes to terms with the fact that Neil is Mom’s new main source of support. The book is written in first person present tense. This point of view transmits a sense of urgency– not only the reader, but also the narrator, is unaware of what comes next. Sometimes, the present tense can seem self-conscious and jars the reader out of the story. This was the case in OLIVIA BEAN. The benefit of this technique is that neither readers nor Olivia know if she will make it onto or win Jeopardy!. However, a past tense telling would have been just as exciting and more in keeping with the middle grade genre. There are subtle chuckles tucked throughout OLIVIA BEAN TRIVIA QUEEN as well as a few laugh out loud moments. In this fast paced story for middle graders, the humor is a successful vehicle for more serious and skillfully handled coming of age issues. As with most good stories, WONDER, R.J. Palacio’s debut novel for middle grade readers, begins on a day when something different happens. August’s mother asks him to try going to school. A genetic anomaly, August (Auggie) Pullman was born with a facial deformity that required endless surgeries and kept him out of mainstream education. Auggie has experienced the cruelty of others in his Northern New Jersey neighborhood first hand (on the playground, at the ice cream store). Never the less, he agrees to attend the private Beecher Prep middle school. The wondrous story of Auggie’s 5th grade year first includes all the friendship angst, cafeteria jockeying, educator’s wisdom, school projects, and field trips you’d expect in an odd-man-out, middle-school novel with two interesting exceptions. First, Auggie’s physical appearance is pretty startling. Of course, the reader can’t see Auggie but that doesn’t matter. As Auggie states at the onset of the novel, “I won’t describe what I look like. Whatever you’re thinking, it’s probably worse.” Despite this, the reader falls in love with and roots for Auggie from the start. R.J. Palacio writes Auggie as smart, funny, unendingly patient with his new friends, incredibly forgiving of his family. He is more mature than all around him because he has learned from the mistakes of others and is a product of his loving and supportive family. Perhaps Auggie is too-good-to-be-true and he’s not the only one. Dad makes everyone laugh, Mom takes care of everyone, older sister Via feels jealous of all the attention Auggie has gotten but then knows enough to feel guilty about it. Via’s new boyfriend gets the lead in the school play. Even Via’s out-of-favor best friend gives up something very important to her just to be generous. In other words, with the characters in WONDER, even their flaws are perfect. Second, R. J. Palacio tells the story in alternating first person. Not only Auggie, but also his sister Vi, his new friends Summer, and Jack, and his sister’s best friend each have a hand in telling the story. Instead of each narrator moving the story forward, they each retell a preceding portion of the story and then move on. The benefit of this structure is that the reader sees Auggie from the perspective of those around him. However, this two steps forward, one step back pacing can be frustrating, especially when the new point of view doesn’t add enough new information to the replayed scenes. R.J. Palacio writes a happily refreshing family in the Pullmans. Loving and kind, playful and supportive, this family is one with which many readers will identify. Middle grade and Young Adult readers are all too used to reading about families with dead-mothers, substance-addicted or absent fathers, and snarky siblings. The Pullmans are a welcomed change. In all, WONDER is a positive addition to the literature about the disability experience. F.J. Palacio’s story of acceptance, friendship, and kindness will carry the reader through laughter and tears and open their eyes to a life where something different happens. 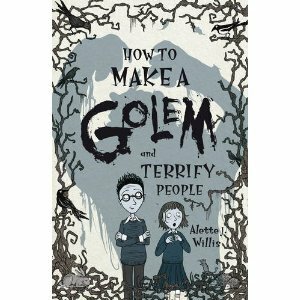 This week I’ll be discussing the middle grade novel, How to Make a Golem and Terrify People, by Alette J. Willis. This is not a negative review but does offer quite a bit of constructive criticism so if you’d rather skip it, fine. (See this post by Maggie Stiefvater about bloggers who give negative reviews.) I hope you’ll join me next week. The book doesn’t seem to be available at IndieBound or at B&N and probably because it is published in Scotland by Floris Books. Floris Books is a publishing company based in Edinburgh, Scotland. 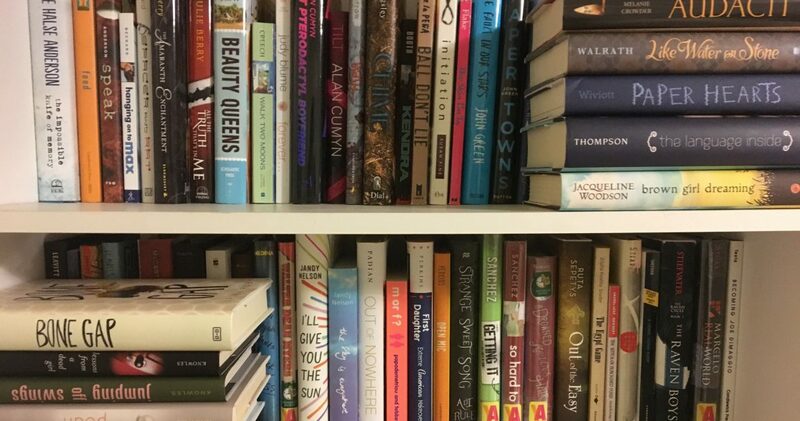 We publish books in two main areas: non-fiction for adults, and books for children… We’re also the largest children’s book publisher in Scotland. We publish board and picture books for 0-7 year olds, often international stories in translation and nostalgic classics; story books and anthologies for 6-10 year olds; and the Kelpies series of Scottish children’s fiction, a much-loved classic series into which we’re publishing brand new contemporary novels. We also publish a wide range of craft and activity books suitable for children of all ages. …you may already be familiar with the tale. In the 1500’s a Rabbi in Prague creates a giant man out of mud to protect the Jews. In many of the stories, the Golem is uncontrollable. In the picture book, the Rabbi who gave him life sends him back to the clay he came from. Anyway, it’s an interesting story and I was curious to see what a Scottish author would do with it. This book is about a girl named Edda, who is as tiny and fearful as a mouse, which is what her mother calls her. When her home gets broken into, she is more fearful than ever. Her mother starts looking for new homes but Edda doesn’t want to move. Her family has moved around quite a bit and she is finally in a school where she’s found a friend. Of course she’s also found a bully. Enter Michael Scot– a somewhat magical, perhaps time-traveling boy version of a historical and alchemist Michael Scot– who helps Edda create a Golem to solve her problems. Needless to say, the Golem only causes more problems and it is up to Edda to save herself. This is a very sweet story. However, I had a lot of problems with it. Perhaps it is cultural, but the author tells quite a bit of the story or shows and then tells. There seemed to be a lot of cold imagery that didn’t match the story. Cold that slips down Edda’s spine, fear that “filled my stomach with quaking ice cubes…” The author also names emotions instead of showing. Throughout the book Edda feels: “queasey, sick to her stomach, sorry for him, safe and secure, angry and helpless at the same time, an unexpected flood of gratitude…” The magic of Michael Scot is never wrapped up. The character disappears when things get rough and the reader never finds out if indeed he is a time traveling Michael Scot or not. Further, Edda never gets to settle her feelings with the amorphous boy. I think that my biggest disappointment was in the fact that Jewish tradition didn’t seem to matter to any of the characters in the book. I could go on but I won’t. My purpose in pointing out these writing issues is not to be unkind to the author but to further my own craft. When we read critically, we write critically and we give our children something that we are proud to read as well. Happy New Year to those in the kidlitosphere! Thanks to NetGalley and generous publishers I am back in reviewing action with relevant and upcoming titles. Today, grab a spoon and dig into the new Adam Rex middle grade novel, Cold Cereal. Enter the fictional Goodco Cereal company in the fictional New Jersey town of Goodborough. (Yes anything can happen in New Jersey.) Scott Doe, has recently moved to Goodborough so his scientist Mom can have a job at the cereal factory. He’s a smart kid who is angry at his famous movie action hero father Sir Reginald Dwight (aka John Doe) for leaving the family. On his first day of school he meets the twins Emily and Erno. The three of them are in the class for gifted kids, “Project: Potential,” but it is obvious from the start that Emily is more gifted than Erno or Scott. Emily and Erno’s foster father pits them against each other to solve riddle and scavenger hunt style games. What starts as a simple game turns into a magical mystery. Is this book “magical realism?” I suppose so. There’s a lot of magic, and it happens in the real setting of a small New Jersey town. To help the reader, Rex introduces the magic slowly and makes the reader wonder if it is real. Does that human really have a rabbit’s head? Does that cat really have a unicorn-like horn? Or is it a hallucination brought on by Scotts migraines. This device, along with the portal-based magic that centers around the cereal factory gives the reader a reason to believe that this magic could logically happen in the book even if they don’t see it in their own town. By then the reader is fully hooked in the world and things get really absurd. Rex trusts his reader. From vocabulary and figurative language, to action and magic, he allows the reader to look between the lines. The book is highly illustrated and Rex is a master artist. While the advanced copy I saw only included sketches, it was obvious that Cold Cereal is another wonderful example of the blending of written and graphic elements ala Brian Selznick, and Lynne Rae Perkins. Personally, I’m thrilled to see publishers embracing the visual for older kids instead of casting aside visual literacy at the expense of text. Everything was not green clovers, and yellow horse-shoes for me with Cold Cereal. Rex has a lot going on in the structure of the story. Maybe too much. He manages the changes in focus from Scott to the Twins well, but he has more going on than that. Mick the Leprechaun has his own magical stories that get thrown in from time to time taking the reader out of the story action. Rex also includes long passages of back story, secret society and magical history at the expense of pacing and forward story movement. The baffoonery of the Freeman sometimes feels irrelevant to the story and comes across as Rex's personal commentary on secret societies in general. The age old device of having the bad-guy talk too long to expose her evil history and plot may work well in movies, but it seemed like another pause button violation to this reader. A good middle grade novel needs to stand on its own, and Rex certainly ties up most of the loose ends, but he leaves the reader poised for a sequel. If you are a sequel lover, as are most middle grade readers, you’ll enjoy this but the whole sequel phenom is a recent pet peeve of mine. The book launches on February 7th. Adam Rex has served up a slice of humor, and a glass of action, alongside the magical Cold Cereal for a nutritious reading experience.